Product #148 | SKU 3-043-0002 | 0.0 (no ratings yet) Thanks for your rating! The DSLR Baseplate from Redrock Micro provides the foundation for support setups around video and still digital SLRs. 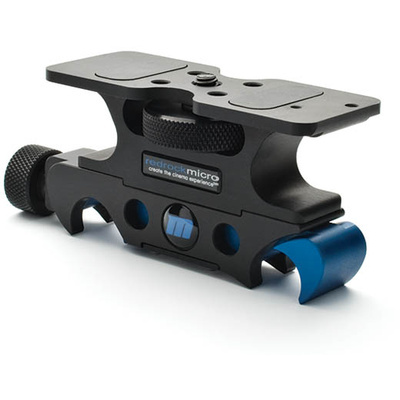 This baseplate is lightweight, low-profile, and can be used to connect standard 15mm rods (60mm spacing) to the bottom of any DSLR.